BIKE THE CBUS IS SEPTEMBER 3! 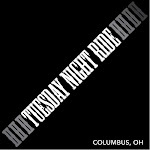 Columbus' original city-wide ride since 2008, Yay Bikes! Bike the Cbus is a self-guided group tour highlighting our city’s unique and evolving center-ring neighborhoods. The ride features four Neighborhood Routes of varying lengths that total approximately 30 miles, of which participants can ride as many or few as they choose. Along each route there are stops hosted by local organizations who provide snacks and entertainment. More seasoned cyclists can ride Bike the Cbus+, a unique SAG-supported urban Metric Century Route (62 miles) through Franklin County.